Your data is secure and backed up in a top tier data-center. No software to install. Work from home, the office or on the road. Simple to use. No complex report writers. No expensive servers and software to buy. No big up-front software costs. Price includes software, support, training, hosting and backup. Price starts as low as $200 per month. 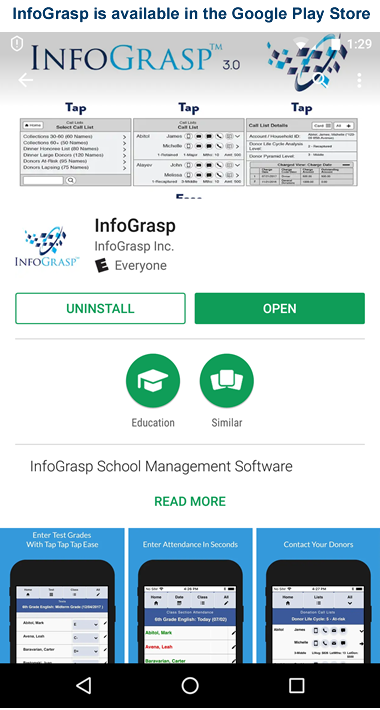 InfoGrasp was created by private school software experts to run your organization more effectively. We created this software to address the special pressures that private and faith based schools and nonprofits face. Our online schools accounting technology will reduce your outstanding receivables and increase your fundraising revenues. More about increasing revenue with school administration software. 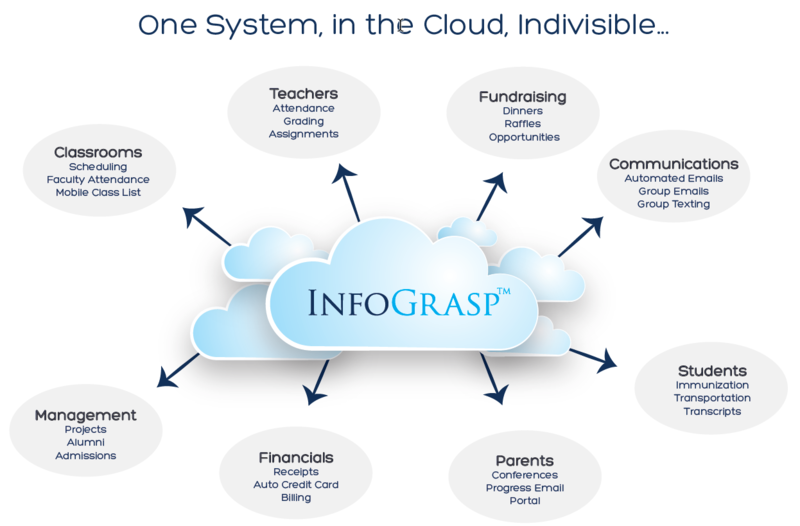 InfoGrasp incorporates many features that will enable you to boost your fundraising in these difficult times. 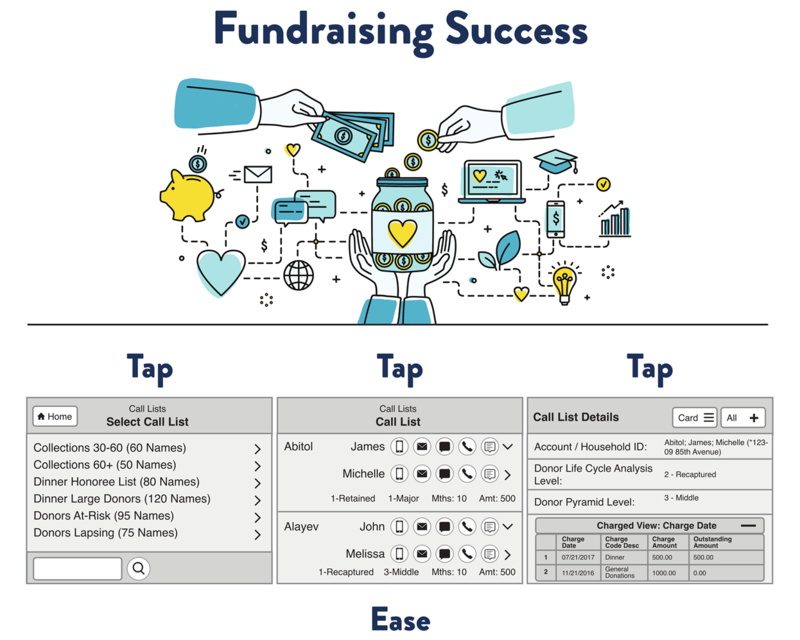 The system supports annual dinners, raffles, auctions, retreats, camps, event seating, wine sales, book sales, memorial plaques, facilities management, big donor opportunities and communications tracking. 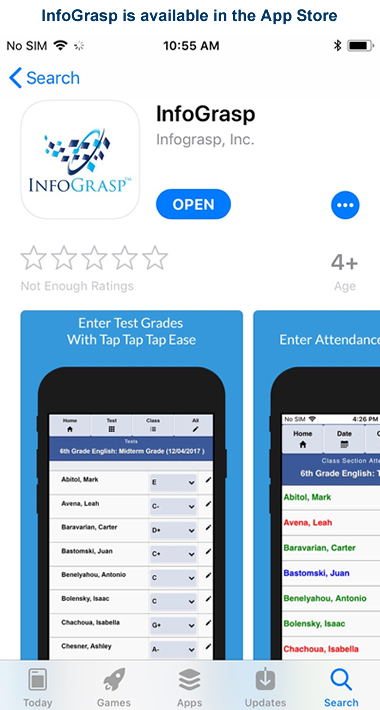 InfoGrasp enables you to easily manage all student information for your private or religious school. 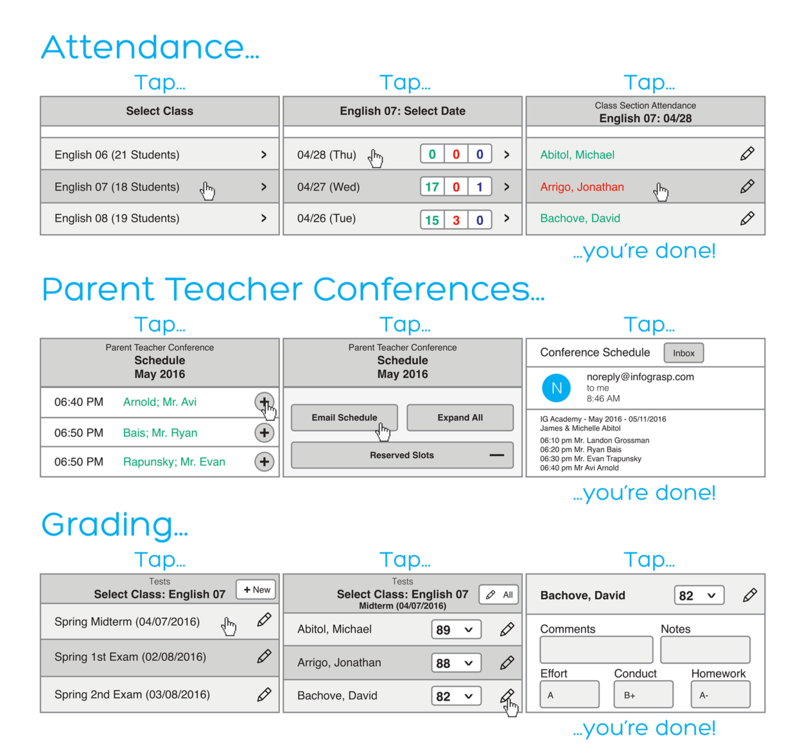 Our online school software includes an online report card system, class scheduling software, attendance tracking, room scheduling software, transcripts, admissions, enrollment contracts with teacher, parent, and administrative interfaces. More for administrators about our student information system.